If you make one, please send me a photo and I'll be happy to post it. All you need to create your own are jars in assorted sizes, waterproof superglue, trinkets, glycerin (available at crafts stores) but not necessary, you can use water ...Mad About Pink way of doing things :-), and glitter. 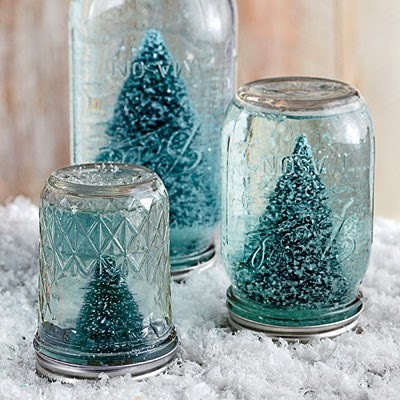 1.Use glue to adhere your trinket to the inside of the jar lid. Dry about 24 hours. 2.Fill jar with enough water to fully submerge the trinket. Add three to five drops of glycerin and desired amount of glitter. 3.Use glue to adhere lid to the jar's metal screw band. Let dry. 4.Apply glue to the lid's inner edge, and screw onto jar. Let dry completely before shaking.